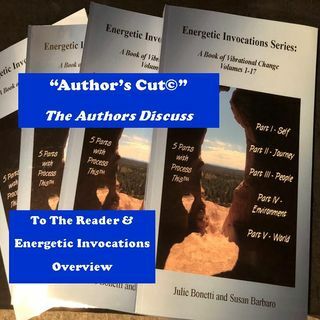 “Energetic Invocations: A Book of Vibrational Change” has been inspiring readers everywhere to do the work to quiet “out there,” analyze thoughts and beliefs, and work with the energy all around to find their own truths and make change. What a great opportunity to hear the authors candidly discuss why they wrote this book and how powerful “Energetic Invocations” are to help you refocus your life! Join the authors’ discussion, buy the book, and be a part of your own self-empowerment journey!